Hydrocyclone Desander Desilters are the important solids control equiments for drilling mud, GN Solids Control provide high quality desander desilter for oil gas drilling, CBM Drilling, underground projects desanding plant. Desander and desilter can be mounted on shale shaker to make it as assembly of mud cleaner. North Africa market is very big oil drilling market, but very hard for oversea solids control equipment suppliers. The best way is to find partnership with local strong oil service company / mud service company to develop the market together. 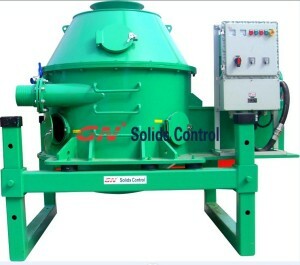 GN Solids Control is China leading manufacturer for solids control equipment / waste management equipment. We already partner with the largest mud service / oil service company in North Africa for over 3 years. During the past years, we have cooperation on many different large projects. 1) Over 40 sets centrifuge project. All the centrifuge is working for over 20 sets drilling rigs solids control service. 2) Over 10 sets vertical cuttings dryer. All the dryer is working for WBM /OBM / SBM drilling waste management. The drying results can reach to 3% to 5%. 3) Over 10 sets high G drying shaker. The high G drying shaker can be used for treatment of water based mud drilling waste. Scomi in Iran also treat the oil based mud drilling waste by high G dryer shaker sometimes. Except for above equipment for drilling waste management, GN Solids Control can also offer drilling mud solids control system / solidification unit / Thermal desorption unit. Etc. We may talk more about solidification unit here. This Solidification and stabilization are separate treatment techniques with similar goals. Solidification of wastes involves the production of a solid mass having sufficiently high structural integrity to allow transport and/or disposal of the solid without requiring secondary containment, i.e. mixing of sludge with shredded paper, sawdust, etc. 2) Cement storage box is keeping cements powder, through the tubular screw conveyor, powders are sent to the mixer at pre-set capacity. 3) Absorber storage box is keeping reagent powder, through the tubular screw conveyor, powders are sent to the mixer at pre-set capacity. 4）There are 2ea 1.5inch liquid inlet, for water feeding, liquid chemical feeding, located beside the mixer inlet. GN Solids Control is the first company to open market for solidification unit / stabilization unit. If you need more information, pls contact us freely.